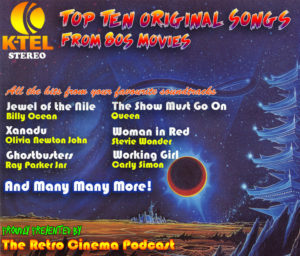 Coming Up – Top Ten Original Movie Songs | All Eighties Movies. All The Time! While Gidgit is working on her tan in Hawaii, we bring you our second Top Ten. And it’s all about those songs that were made for movies! Are your favourites making the list?